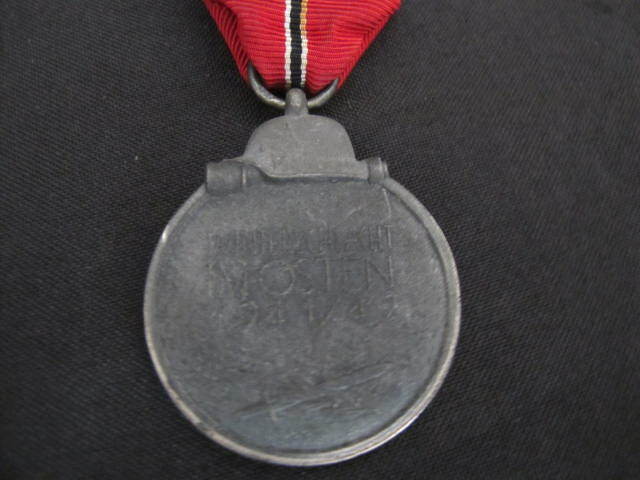 Third Reich Winter Campaign in Russian medal 1941-42. 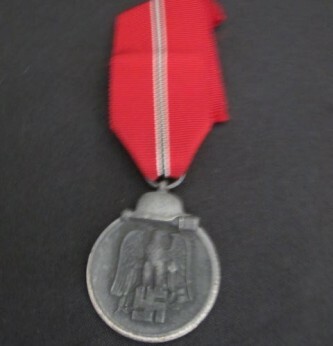 Complete with original ribbon. Good condition. 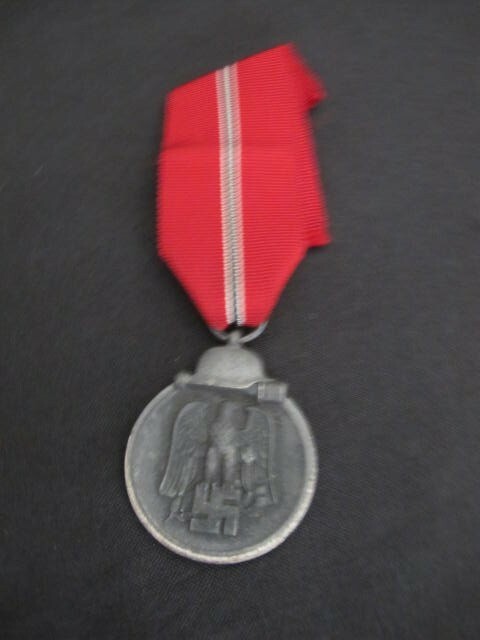 Instituted on 26.5.42 and commonly called amongst the German troops who received it “The frozen Flesh Medal”. 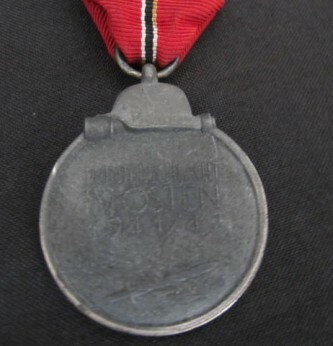 Was awarded for a minimum of two weeks action on the Russian Front.